Public Lecture by Director-General of the United Nations Office at Geneva, Mr. Michael Møller "The UN in a World Full of Challenges"
In his lecture Michael Møller will give a presentation about the tools and methods taken by the UN in order to reach these goals. He will also talk about the challenges of global governance and system of the United Nations. Lecture will be followed by the discussion. Event will take place September 15 (Thursday), 2 p.m. room 402. On April 26th Institute of International Relations and Political Science at Vilnius University (IIRPS VU) together with the Konrad Adenauer Stiftung (KAS) foundation invite you to the public lecture by prof. Wolfgang Wessels “The European Council as Constitutional Architect”, which will take place at the IIRPS VU (Vokieciu str. 10), room 102 at 4:45 p.m. The lecture will be followed by the discussion moderated by prof. Ramūnas Vilpišauskas. More information about the lecture can be found here. Lecture by prof. dr. Natalia Zubarevich "Today's Russia’s Regional Development Trends and Future Prospects"
On 13th of April the public lecture “Today's Russia’s Regional Development Trends and Future Prospects” by prof. dr. Natalia Zubarevich, prominent Russian economic-geographer and specialist in the social and economic development of the regions will take place. The lecture will be followed by the discussion moderated by doc. dr. Dovilė Jakniūnaitė. The event will take place on April 13th at 6 p.m. at room 402. Institute of International Relations and Political Science of Vilnius University (IIRPS VU) together with Ministry for Foreign Affairs of the Republic of Lithuania (MFA) invite you all to the public lecture on topic „Israel‘s Foreign Relations“ by Michael Oren , who is the Deputy Minister for Diplomacy in Israel's Prime Minister's Office. Event will take place on Friday, 17 March at 10.00 a.m., room 402. Public Lecture by prof. Shlomo Avineri "The Unravelling of the States System in the Middle East"
Institute of International Relations and Political Science of Vilnius University (IIRPS VU) together with Embassy of Israel in Vilnius invites to the public lecture by prof. Shlomo Avineri “The Unravelling of the States System in the Middle East”. 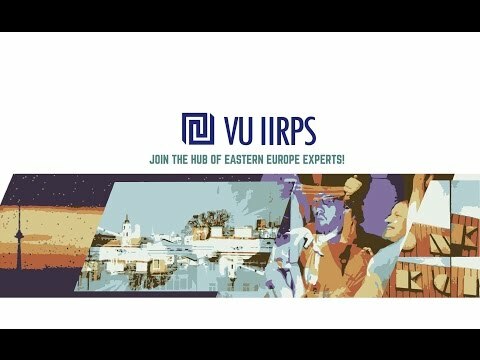 Event will take place Tuesday, 25th of April, at 9:45 a.m.., IIRPS VU (Vokiečių g. 10), room 402.